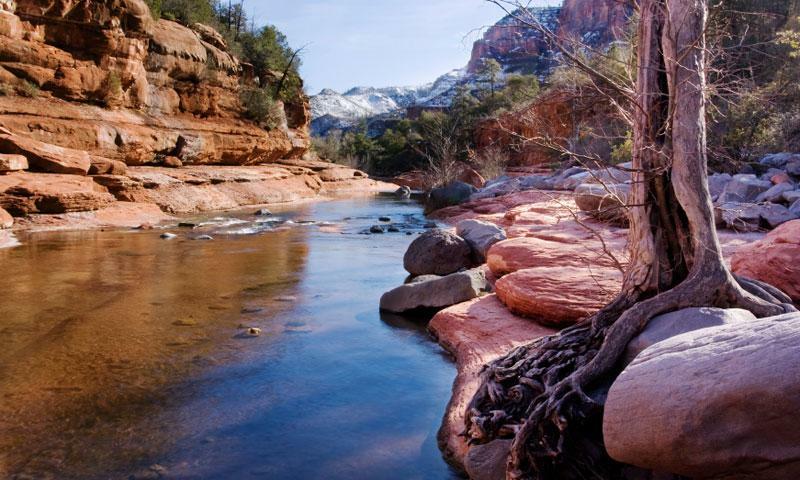 It’s easy to see why Slide Rock State Park is one of Sedona’s most popular attractions: numerous swimming holes flow into a natural rockslide, all enveloped by the magnificent beauty of Oak Creek Canyon. Enjoy Oak Creek’s natural playground. Take a ride down the natural waterslide. Hike up the canyon and take in the magnificent views. What can I do/see at Slide Rock State Park? A visit to Slide Rock State Park offers a day of fun and outdoor bliss for the whole family. Swim in one of the park’s many refreshing pools, bask in the warm summer sun, or try out the famous natural rockslide that earned the park its name. There are also nearby trails to explore that will lead you up the canyon where you can really take in the entirety of the Slide Rock’s natural beauty. Be sure to bring your camera, this is sure be a highlight of the trip! Where is Slide Rock State Park? From Uptown Sedona, drive 6 miles north on Hwy 89a through Oak Creek Canyon, the park is on the left side of the highway. When is Slide Rock State Park open? *Entry stops 1 hour before park closes. How much does Slide Rock State Park cost? *Dogs are not allowed in the park swim area and are not to be left in the car, so try to make prior arrangements for your pup. 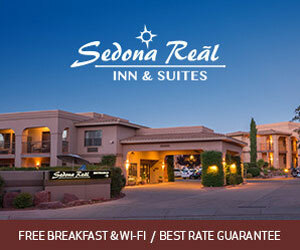 Call (928) 282-3034 or visit their website.